What is the best way to learn a process? Practice on yourself! 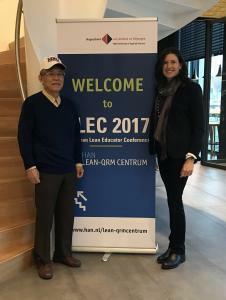 After three years of conversations and visits with each other in Japan, the U.S. and Europe, Mr. Isao Yoshino and I both had the opportunity to see each other in a professional working capacity two months ago – he was a participant in my workshop and I was a participant in his – at the ELEC2017 in the Netherlands in November 2017. For those of you not already familiar with my friend and mentor, Mr. Yoshino is a retired Toyota leader who spent 40 years in various leadership roles at Toyota in Japan and in the United States. He played a key role in setting up the NUMMI joint venture between GM and Toyota up for success in the 1980s and he was John Shook’s first manager in Toyota City, Japan. He now teaches at a Nagoya University and spends time teaching others around the world about his experiences at Toyota. If you don’t have a copy already, you can click here to get a PDF of the top 10 Toyota leadership lessons that Mr. Yoshino shared me in 2015 & 2016. I’m working an a new addition with 10 more! 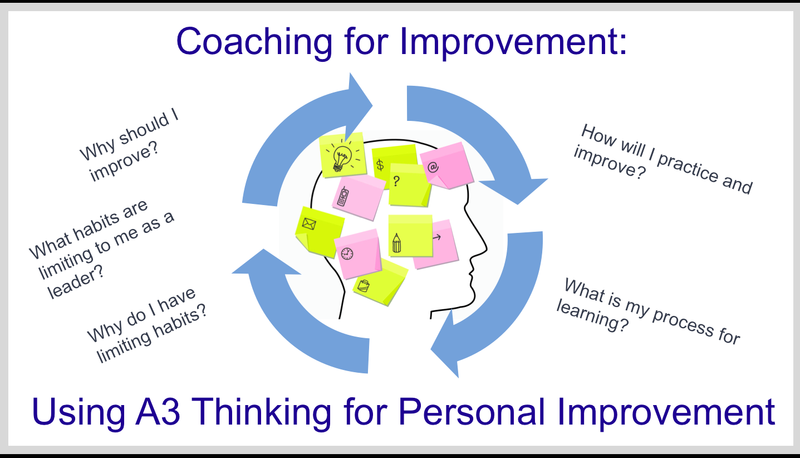 In both of our workshops at the ELEC, we used the method of learning a lean framework by practicing on a personal application: mine using A3 thinking for personal improvement (I’ll be teaching this class again in Nashville in March!) and Yoshino’s using A3 thinking for goal setting or “hoshin kanri”. It was fun to be a teacher to someone I consider a mentor and from whom I’ve learned so much. And it was even more fun to be in a formal learning setting in Mr. Yoshino’s class. John Shook’s quote that “everyone is a teacher and everyone is a learner” couldn’t be more true. In my last post “Live With Intention, Lead with Intention: Goals and Intentions for 2018”, I shared a bit about how I’ve practiced using the Personal Hoshin Kanri process that I’ve learned from Mr. Yoshino. In this post, I want to go a bit deeper about what Mr. Yoshino has taught me about the process so that you can practice and learn too. Back in May when talking about applying A3 thinking and hoshin kanri, Mr. Yoshino emphasized the “The A3 is not a magical tool”. What he meant by this was that my hoshin A3 didn’t need to look exactly like his, such as symbols, tables, and exact format, but rather that I should follow the principles and then create a structure and visual representation of my thinking that works for me. 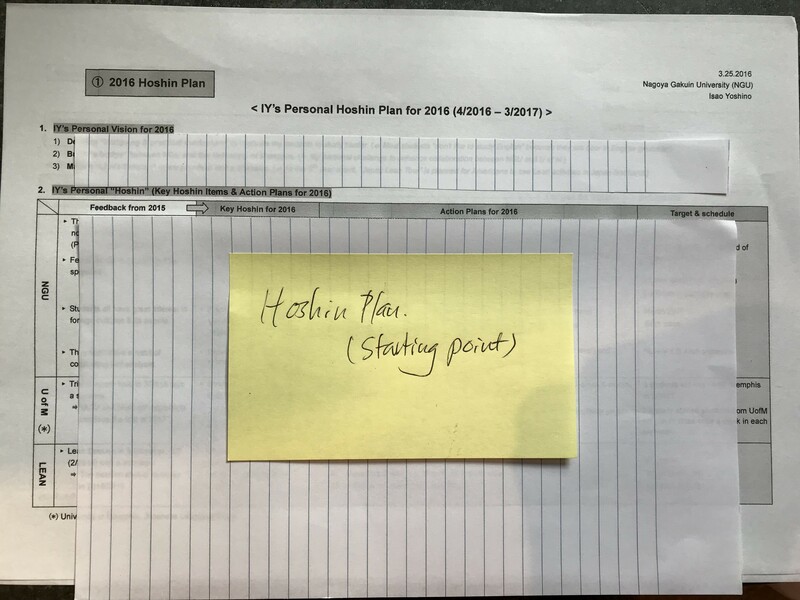 So with Mr. Yoshino’s caution to not see the A3 as a “magical tool” and to not see an example as a rigid format to follow, I share some of the templates that Mr. Yoshino shared with me in May and again at the ELEC2017 workshop. These are meant to be guides for you to think and possible structure your thinking, but remember to develop your own way! For example, as I shared in my 2018 goal setting process, I am working on way to show a visual timeline of my work so that I can better level-load my travel. Note: I blocked off the actual text as this is Mr. Yoshino’s personal example that he uses in class. 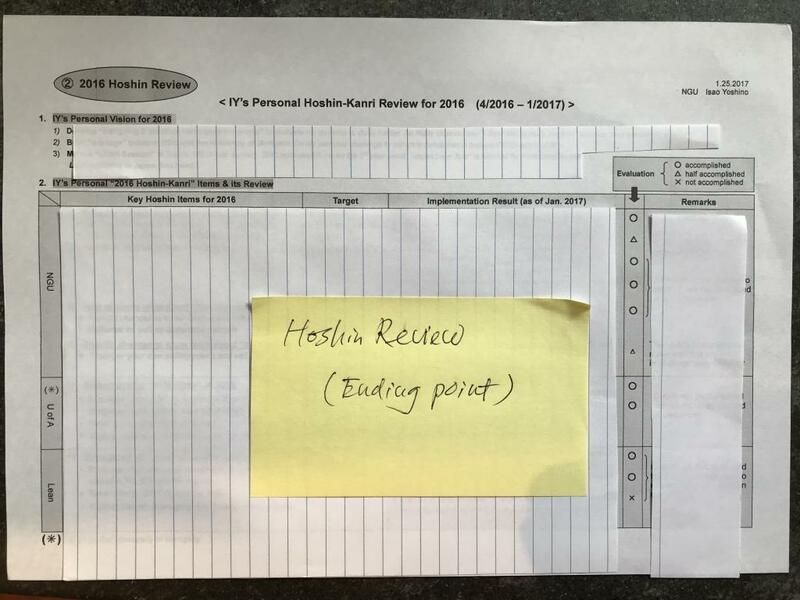 One example of a personal hoshin format for the starting point at the beginning of the year. Before setting your goals, Mr. Yoshino encourages people to identify the most important goals or vision to achieve by the end of the year. You can see that he did this in the example above. Similarly, I encourage others to start with intention: understand first what is most important and then figure out how you will get there. Mr. Yoshino reminded us in class that we don’t need to put EVERYTHING down in the annual plan. Instead, figure out the key goals and then what actions will have the most impact on achieving them. I found this advice helpful last week when I was working on getting more focused on my most important professional goals for 2018. Towards the end of the workshop, a participant suggested that we all set up follow-ups with our catchball partners in class. Both Mr. Yoshino and Gunars Caune were the people I worked with. 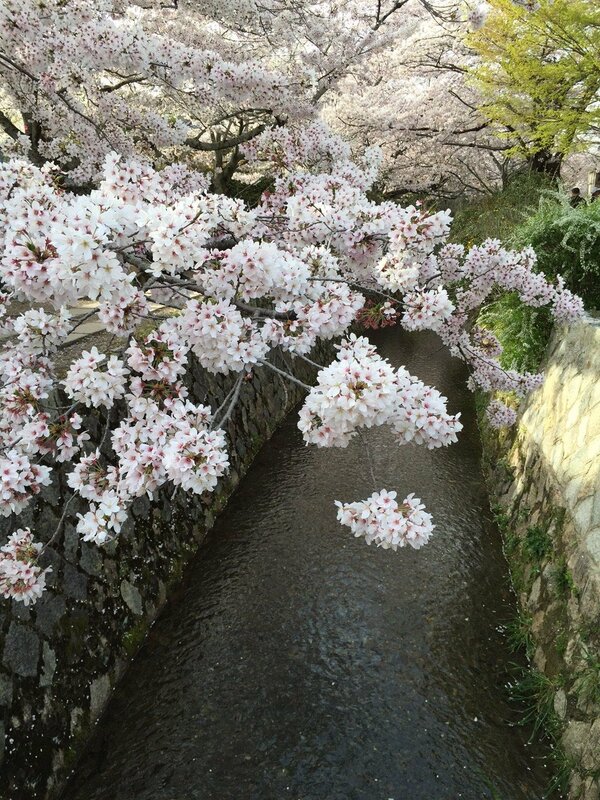 I’ll be seeing Mr. Yoshino next week in Japan (I’m excited to be going back!). I just had a follow-up Skype call with Gunars – he was calling from Latvia and I called in from California. We both agreed that follow-up and checking-in in the most important part of the A3 hoshin development process. We both put more attention to revision our original plans developed in the Netherlands two months ago because we knew that we had the call set for this week! We’ve agreed to support each other in mid-year reviews in six months. Don’t forget that the “check-adjust” part of the PDCA cycle is important. 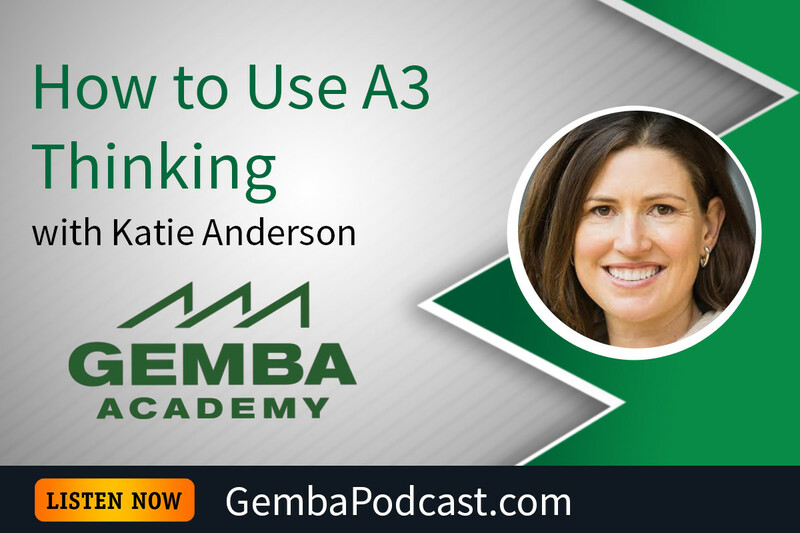 If you use an A3, the format of your thinking for reflections may look a bit different. Remember, it’s the thinking process that is the most important, not the display or format. Evaluate how well you achieved your goals. These are just example symbols. Use a format that works for you! 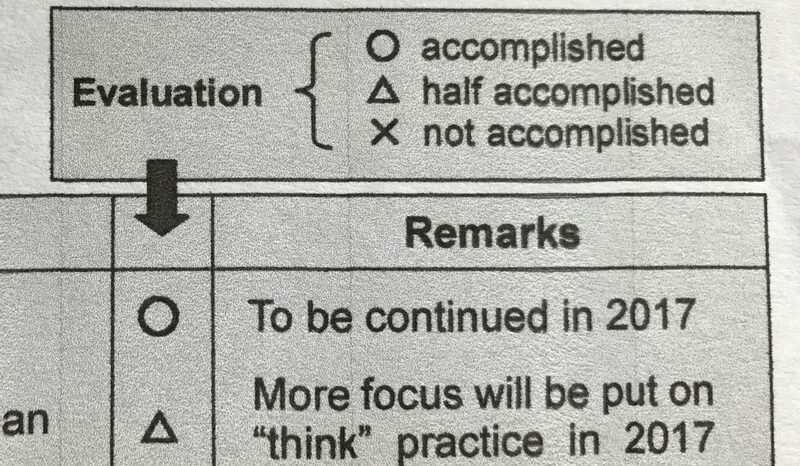 Below are some additional insights about using A3 thinking and Hoshin Kanri hat I learned from Mr. Yoshino at the ELEC2017 and through recent personal communication that I haven’t posted before. During his workshop on Hoshin Kanri at the ELEC, Mr Yoshino shared insights about the manager’s role at Toyota and the KanPro program at Toyota, which was a 2-year project in the late 1970s – early 1980s to build the habit of A3 thinking and hoshin kanri at Toyota. 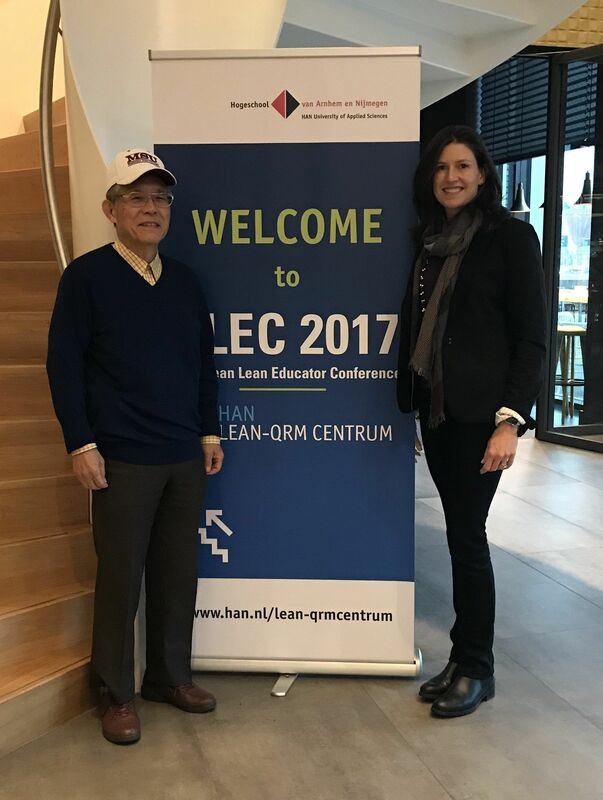 Planet Lean also just published a great interview with Mr. Yoshino about many of these topics in the article “Isao Yoshino Reflects on the role of management at Toyota” and you can read more details from my prior conversations with Yoshino-san. Once goals are established, the role of the manager is to check and support subordinates to achieve the goals. You can read a LOT more about this in John Shook’s book “Managing to Learn” about his experience of working with Mr. Yoshino as the manager checking to see how he was achieving his goal. 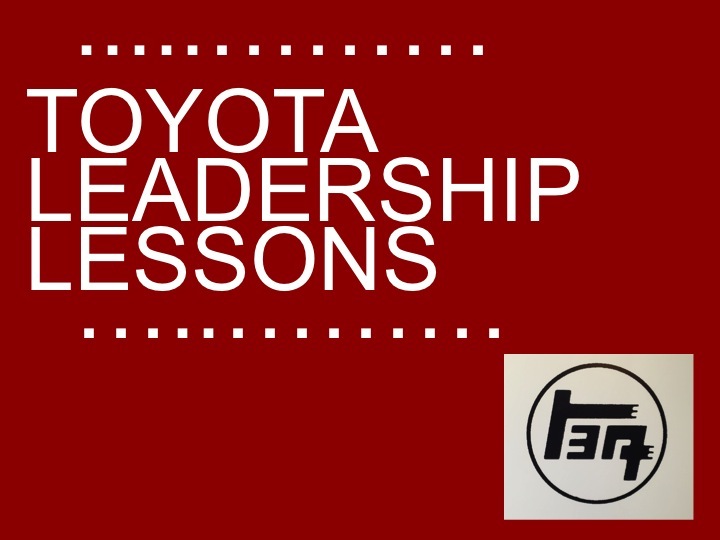 Don’t forget that you can click here to get a PDF of the top 10 Toyota leadership lessons that Mr. Yoshino shared me in 2015 & 2016. 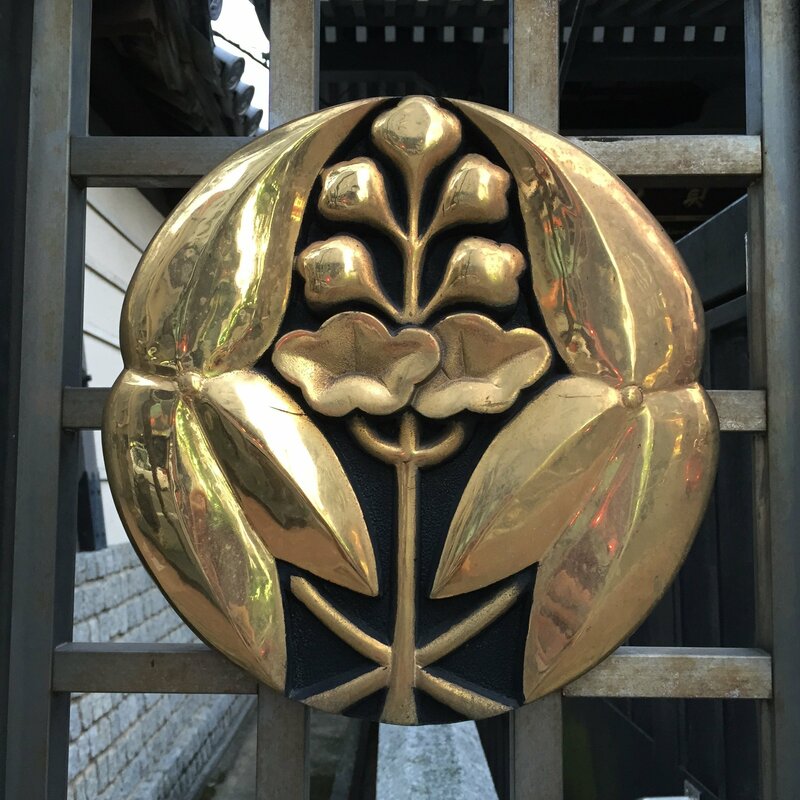 I’m off to Japan in two days and am excited by the learning experiences that I’ll have and then share with you here on my blog. I’m going out to plan a Japan lean study trip that I’m leading for Ohio State University in May. I’ll be spending a few days with Mr. Yoshino, going back to Ashikaga to visit Orgura Metal and some other companies, and spending a morning with Tim Wolput and Christoph Roser (who I’ll be meeting for the first time).